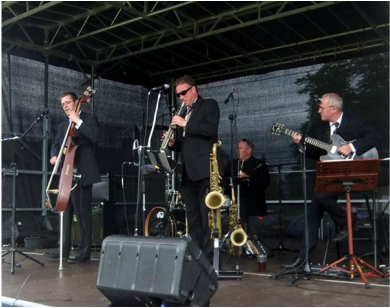 We would love you to book us for your wedding or private party; pub or club. Here's a typical example of what we provide, but of course we are totally flexible to suit your needs. You get the four of us and all our equipment for the evening between 8pm and midnight (or daytime of course), with us strutting our stuff for two hours in two hourly sets over the course of the gig. During our breaks we will put recorded music through our music system if you require and can liaise with you for anything particular. To contact us for a booking just fill out the short form below and we'll get straight back to you or, alternatively, call 07717 650911. When booking the band be sure to send us directions to your event and/or a map. Two parking spaces would be very much appreciated, especially in urban areas. If we have travelled a great distance or have plenty of waiting time we would appreciate light refreshments. If you have any special requests that you would like the band to play, please ask us and if at all possible send us the sheet music in plenty of time. Do bear in mind that we are a quartet and not the London Symphony Orchestra or, for that matter, Madonna! If your event is a surprise party be sure to take us in your confidence and explain contact names/phone numbers/addresses and other details. Clearly emphasize that it is a surprise party and tell us who is not to know! Relax! 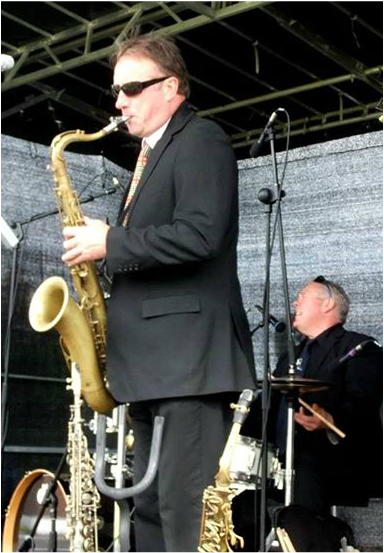 We have been playing private functions for over twenty years so sit back and leave the entertainment to us. There's a few handy hints below that might be worth checking yourself . . .
here's some handy hints to make your party perfect . . .
As we have been doing this for a while we just want to offer some hints that might be worth checking before the day! Be sure that the room/venue you choose a room/venue is not far from the bar. We find that many people gravitate towards the bar and if this is in another room from your music/dancing/eating it can be disastrous. If you are having a disco as well as us, make sure there is plenty of room for the disco equipment and the band equipment (we require minimum 20` x 10` level ground). Make sure the dance floor is large enough and safe and that the lighting is intimate. Are there any time or noise restrictions? If you are having a buffet let us know what time you are serving and we will work around you. It`s pointless having dance music playing when people are eating. If you are having after dinner speeches do bear in mind that they normally overrun the allotted time. Lastly, and you can't always do anything about this (!) check that the room`s ceiling is not too high (aircraft hangar acoustics!). we look forward to entertaining you very soon!